Shawn is a graduate of the Karen Pryor Academy and a Certified Training Partner. Born and raised in Hollywood, CA, Shawn has always had a lifelong love of all animals and has worked with dogs, elephants, primates and a variety of other animals at various wildlife sanctuaries both in the U.S and abroad. Shawn has called Portland home for the past ten years and has worked as a veterinary technician, pet sitter, and dog trainer. 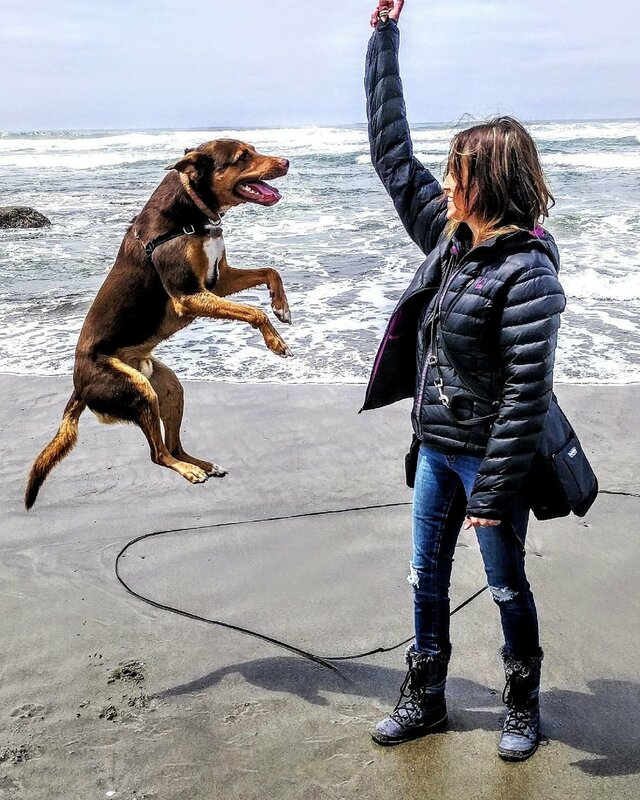 Since 1999, Shawn has adopted six rescue dogs of her own, which put her on the path to studying the science of dog behavior and positive reinforcement training. Shawn regularly attends seminars and conferences to continue her education in animal behavior. When not working, Shawn enjoys hiking and exploring Oregon's beautiful outdoors with her two pups, Tsavo and Luna. To contact Shawn directly, email her any time at shawn@dogadventuresnw.com. To get your dog's adventure underway, just fill out a registration form and we will be in touch within 24-hours!